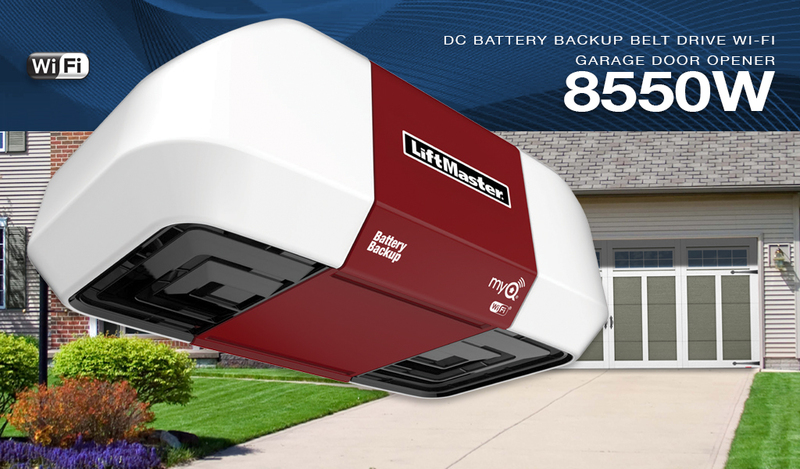 Lancaster Door Service, LLC is your local dealer and installer of LiftMaster® and Hörmann® Residential Garage Door Openers. Each offers integrated packages that combine helpful accessories and advanced technology. These openers are designed to perform and built to last – and most include great lifetime warranties. 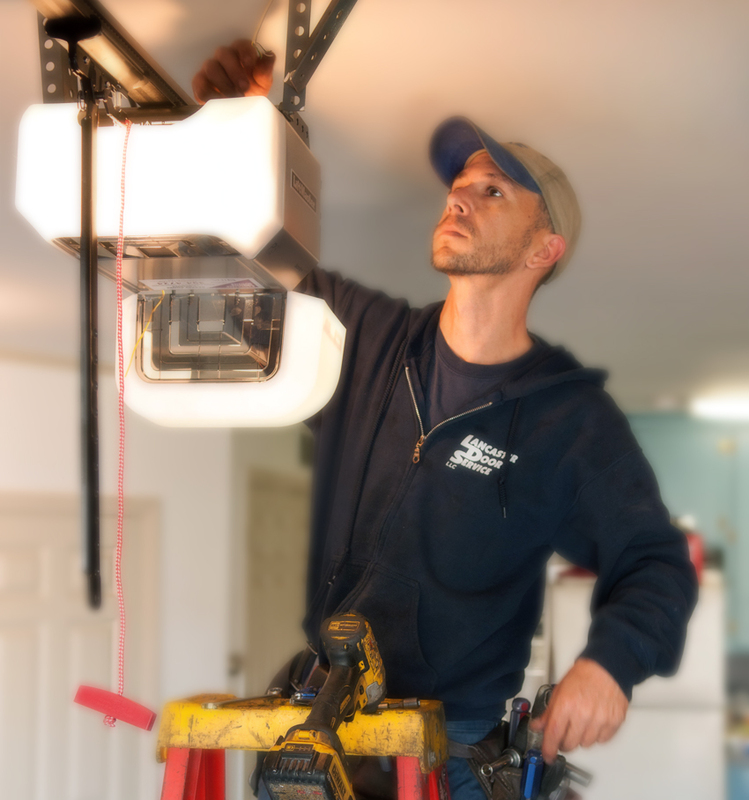 Our openers bring smooth and reliable operation for your daily use while providing you with the control and safety that you want in a garage door opener. 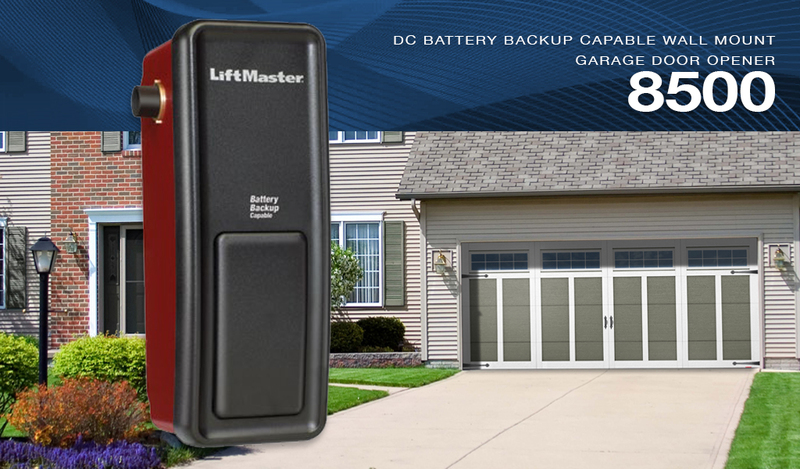 The pros at Lancaster Door Service can help you with the purchase and installation of a door operator system for your home's garage or other building. Some of the biggest concerns facing home owners are safety, energy savings, security, and convenience. No matter which residential garage door opener you select - we have a full range of accessories to include such as Remotes, Keypads, Light Switches, as well as other useful hardware. Our residential garage door operators include safety sensors that can detect obstruction of the door and stop the door from closing. This feature protects your family members, pets, and vehicles. All of our LiftMaster® models incorporate The Protector System® and our Hörmann® openers include their own Safety Beam System. This means that these openers used infrared technology that projects an invisible light beam across the garage door opening. This beam, if disturbed, will trigger automatically to reverse the door and stop the door from closing. A light on the opener will illuminate to notify the user of the interruption as well. You can choose from remote access devices and internet-based secure monitoring systems that allow you to conveniently control the door opener from your computer or mobile device. We welcome you to Contact Us to discuss your needs. Our knowledgeable staff will review your requirements and can show you examples from our extensive selection of residential garage door opener models at our showroom. 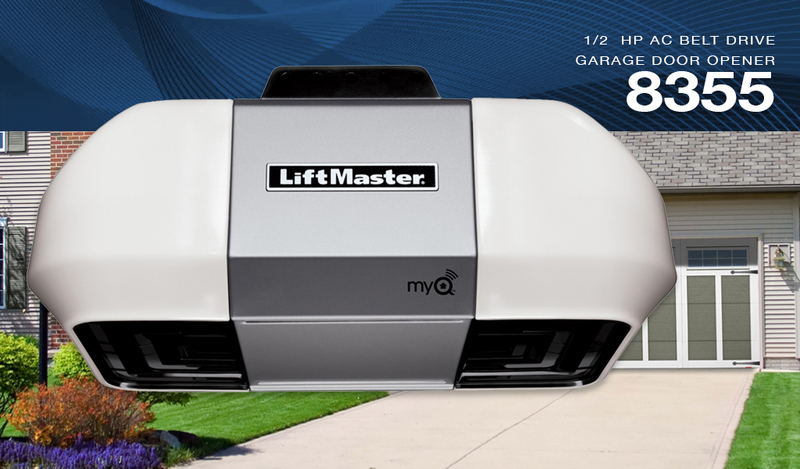 We offer a full range of Garage Door Opener accessories to choose from. With its rugged reliability and exceptional all-around performance, this opener is the perfect choice if you want enhanced style and reliability of our best-selling drive system ever. Includes: Multi Function Control Panel, one 3-Button Remote Controls, and The Protector System® safety feature. This opener provides reliable and energy efficient performance year after year. The Motor Vibration Isolation System (MVIS®) provides quiet, smooth operation and comes fully equipped with Security+ 2.0® and MyQ® Technology. Includes: Multi-Function Control Panel, 3-Button Remote Control, and The Protector System® safety feature. This sleek, space-saving design mounts on the wall beside your garage door, freeing up ceiling space. This model comes fully equipped with Security+ 2.0®, MyQ® Technology and the Timer-to-Close system. Includes: MyQ® Control Panel, Premium Remote Control, Remote Light, Cable Tension Monitor, Power Lock, and The Protector System® safety feature. 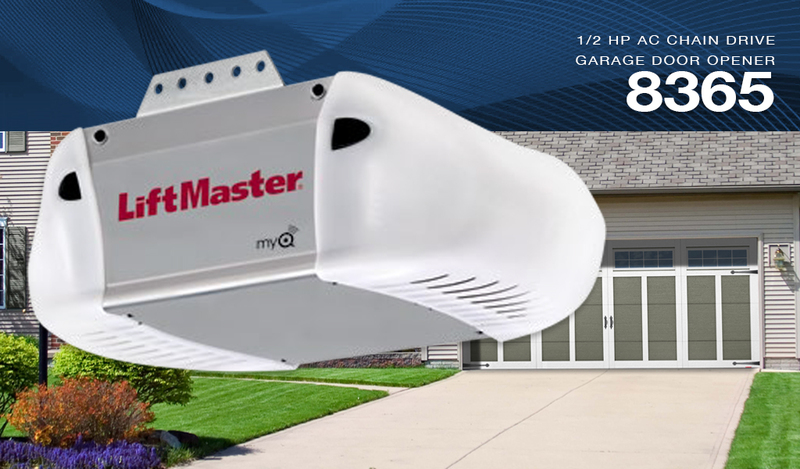 The first Wi-Fi Garage Door Opener makes control from your smartphone reassuring and simple. Comes fully equipped with Security+ 2.0®, MyQ® Technology, Battery Backup and the Timer-to-Close feature. Includes: Smart Control Panel®, Premium Remote Control, EverCharge Standby Power System, and The Protector System® safety feature. Built with a DC motor and a composite aramid fiber reinforced belt drive system that provides an ultra-quiet operation. Adjustable "soft" start and "soft" stop feature allows for minimum wear on the door and opener – ensuring a quiet opening and closing. 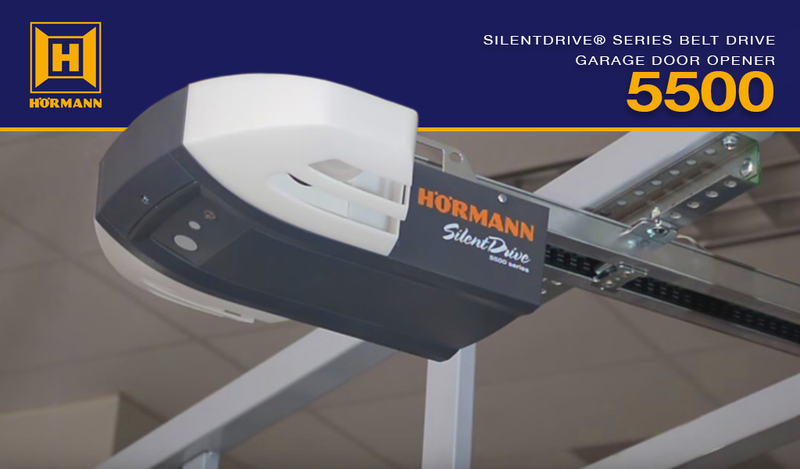 Includes: Hörmann Beltension Guard™ Automatic Belt Tensioning Device, EngageLock™ Security Feature, 4-button Mini Transmitter, 3-button Wall Control, Optional Lighted Wireless Keypad, Safety Beam System, and is Homelink® Compatible.